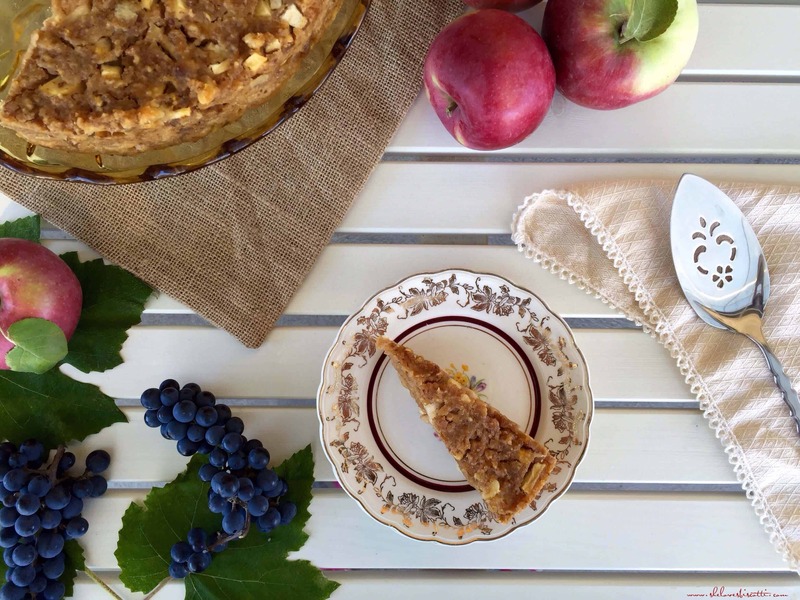 With it’s origin in Lake Como, this poor man’s apple pear bread pudding combines simple ingredients to make a dessert which exemplifies rustic simplicity. Thanks to George Clooney, everyone has heard about Lake Como in the beautiful region of Lombardy, in Northern Italy. 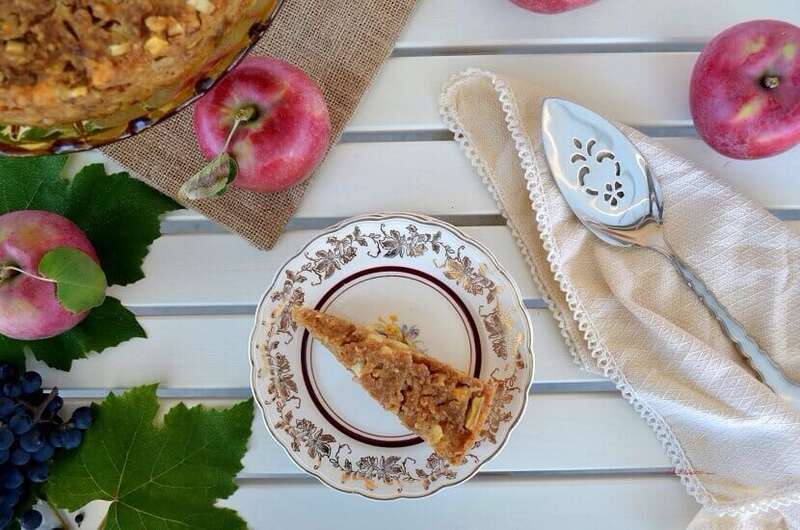 It’s hard to believe that Lake Como could be associated with anything poor, but back in the day, Lake Como’s Apple Pear Bread Pudding, also known as Miascia (mee-AH-sha) was considered a peasant’s dessert, as it was basically made by using stale bread and autumn fruit. The fruit was supposed to provide sweetness, as refined sugar was considered a luxury. As in most regional recipes, every family had their own variation. 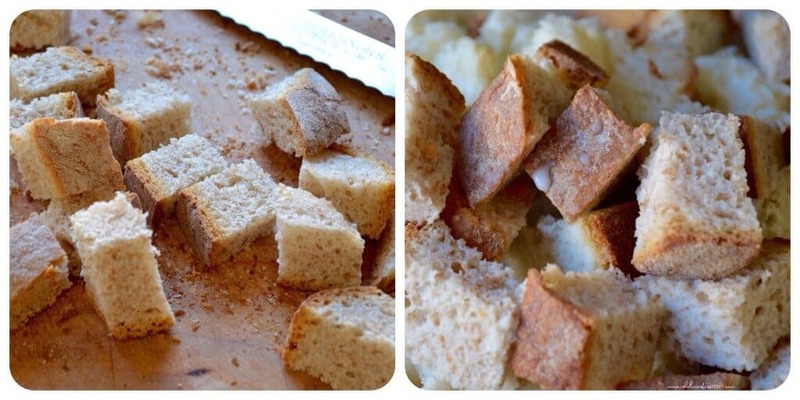 It all starts with stale bread. I’ve made 1 inch cubes with my 3 day old whole wheat pagnotta. Pagnotta is a rustic Italian bread, usually round in shape. You need about 3/4 of a loaf for this recipe. Any type of bakers’ bread should provide excellent results. Once your bread is in cubes, place in a shallow pan along with the crushed amaretti cookies and pour some milk over the top. Let this soak for about 1 hour. 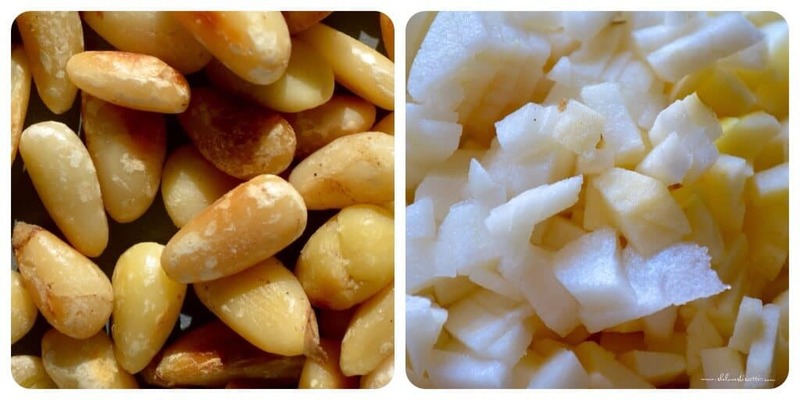 In the meanwhile, you can toast some pine nuts and chop up a few apples and pears in tiny little pieces. At the end of one hour, the bread and cookies should have soaked up most of the milk. At this point, you can choose to place your soaked up mixture in a food processor and whirl until you get a mushy mixture or you can just incorporate the rest of the ingredients to the softened pieces of bread. I’ve tried both methods and I prefer the uniform blendarized texture with small pieces of fruit dispersed throughout the cake. As you can see, the surface of the pudding cake is cracked and dry once, it is baked. The interior is dense and moist. I have yet to walk into a second hand bookstore without buying a cookbook. It’s just impossible for me. Recently, my family and I visited Boston, and can you guess what I ended up bringing home? But I’m glad to say that my recent cookbook purchase, The Taste of Italy (published by Fireside), has already provided me with some very original recipes. In fact, this cookbook provides 300 authentic recipes, organized with respect to their regional origins! There are some other ones that look wonderful in here, and I’m sure I’ll be sharing some more with you all soon. Nutrition Tip: You can always try to adapt the recipes in order to achieve a healthier version, without sacrificing on taste. In most recipes, this is easily achieved by decreasing the total amount of sugar and/or modifying/decreasing the amount of fat in the recipe. With this mind set, I used a low fat milk (1%) and whole wheat bread. 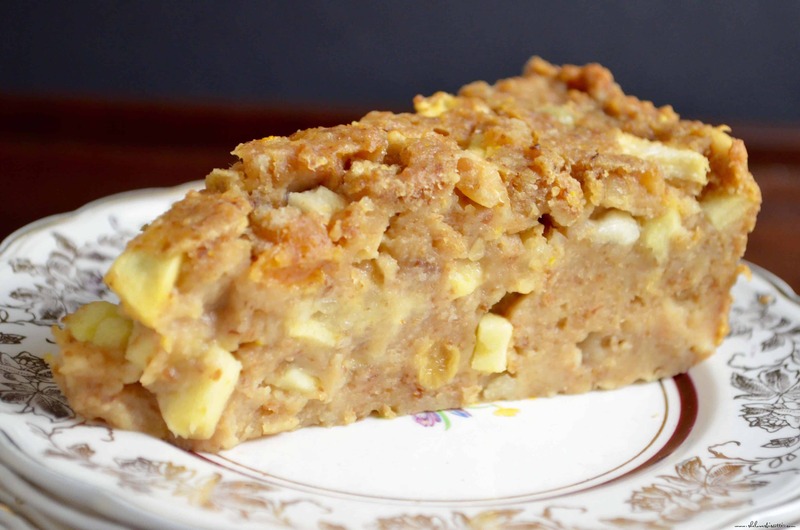 The final product is a not-too-sweet, moist-but-dense cake, which is best eaten warm. 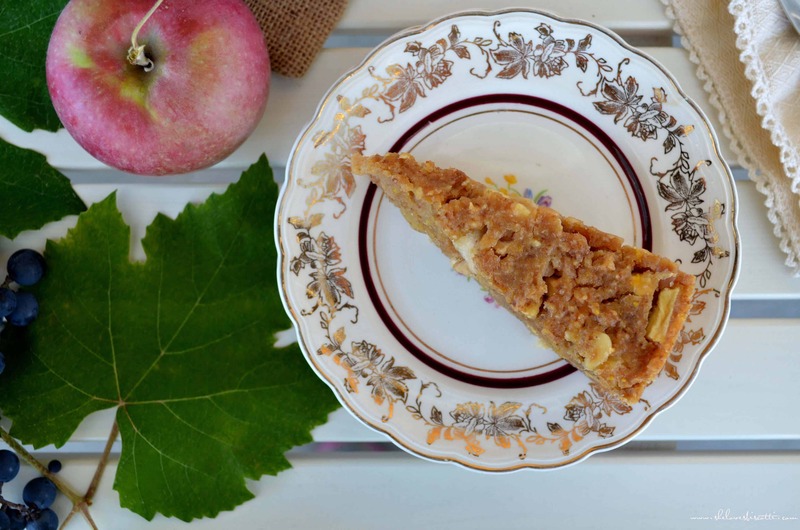 So, the next time someone mentions Lake Como, forget about George Clooney – perhaps you can talk about this wonderful Apple Pear Bread Pudding. Enjoy! 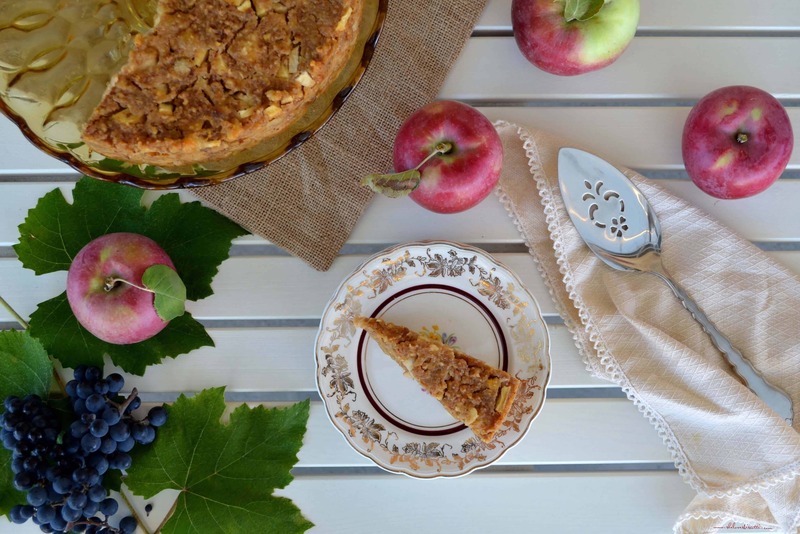 With it's origin in Lake Como, this poor man's apple pear bread pudding combines simple ingredients to make a dessert which exemplifies rustic simplicity. 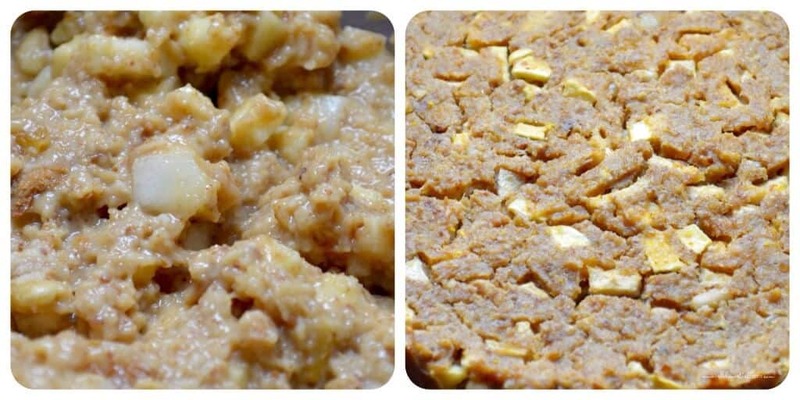 Place cut-up bread and amaretti cookies in shallow pan. Pour milk over top and allow to soak for about 1 hour. The milk will be completely absorbed by the bread and amaretti. In the meanwhile, toast the pine nuts in a small frying pan over low heat until golden brown. This should take a few minutes. Set aside. Use non-stick spray to coat the inside of a 10 inch spring form pan. Preheat oven to 400° F (200 °C). Place rack in the center of the oven. Transfer bread mixture to food processor and blend together. Alternately, in a large bowl stir and mash the mixture with a fork, until you get a "mushy" consistency. Add the rest of the ingredients and combine with a wooden spoon. Drop batter in the spring form pan. Bake for 15 minutes; lower heat to 325° F (170° C) and bake for another 45 minutes. Cake is best served warm. The end product will vary based on the type of bread that you use. 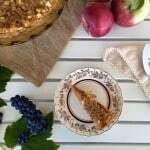 I have tried this recipe with both whole wheat and white pagnotta (Italian rustic bread). *based on recipe from cookbook "The Taste of Italy"